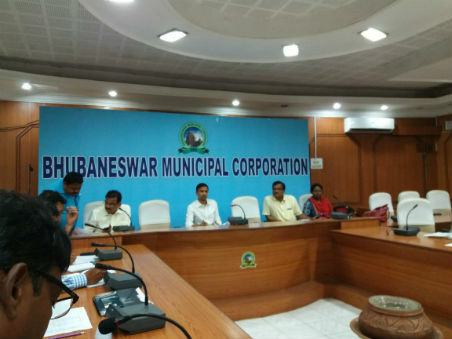 Bhubaneswar: With the city experiencing unprecedented pre-monsoon rains, triggered by sudden Norwesters, the Bhubaneswar Municipal Corporation (BMC) today held a meeting at the Conference Hall to prevent monsoon related drainage issues within BMC area. Additional Commissioner presided over the meeting and suggested urgent measures to contain the situation on wartime basis. Drains in 67 wards and their status were taken. The meeting was informed that BMC-managed 10 city wards and agency-managed 57 wards have some vulnerable areas during heavy rainfall situation, which get worse in some particular locations. The de-siltation works would be completed on or before 1st week of June 2018 and the tender process has already been over and other related steps have been taken care of, to meet the deadline. 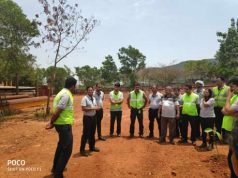 Listing of vulnerable sites and its preparatory assignments were discussed and elaborated by the engineering wing of the Urban Local Body. Like previous year, this year a control room will be operational to respond emergency calls of citizens. This will be a 24×7 basis service of BMC. 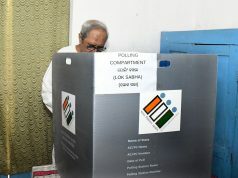 A roster duty for the same will be formulated to translate the initiative of BMC into action on ground. However, very soon the number will be made available to the public by the authorities. All the agencies concerned have been told to make a strict supervision of their assigned wards and intimate the same to BMC on a regular basis. Several squads will be formed to respond to the issues and to pump logged water with their machineries. In emergency cases inter-departmental support will be sought to relieve the public from such critical situations. A list of all drains was shared with all the participating members and the agencies. The meeting was attended by BMC Chief Engineer, two Executive Engineers, all Assistant Executive Engineers, Assistant Health Officer and all Junior Engineers.